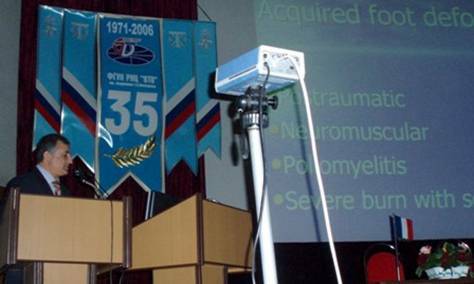 Russian Scientific – Practice Conference , clinical , Diagnostic patients with congenital deformities , 24- 25 May , 2007 ,Ilizarov Center , Kurgan , Russia . 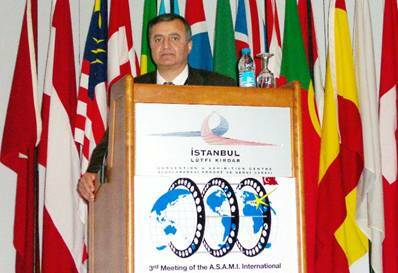 2- A New Hinge System in the treatment of limb lengthening and axial deviations , Ghassan Salameh, M. Schmidt ; Damascus Syria and Frankfurt Germany. 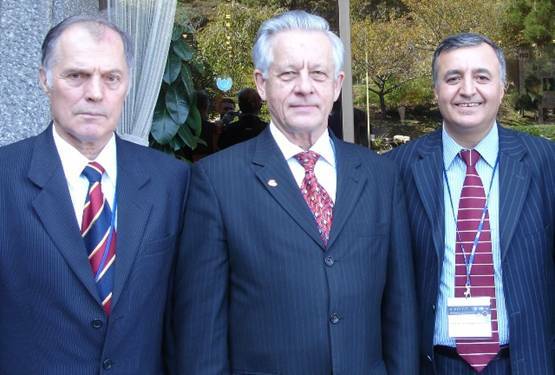 Association for Study and application of Ilizarov methods and External Fixation. 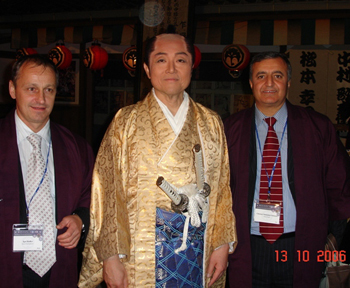 October 11-14, 2006, Kyoto International conference center. The following lectures are presented at this conference and had a perfect impression and discussion. 1- A New Hinge System in the treatment of limb lengthening and axial deviations , Ghassan Salameh; Damascus Syria . 4- Treatment of knee deformities and contractures with external fixation, Ghassan Salameh, Damascus , Syria. And Michael Schmidt , Frankfurt , Germany. 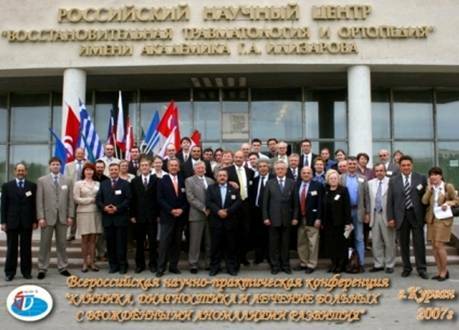 The 13th SICOT Trainees Meeting May 23-25, 2002 St. Petersburg, Russia. 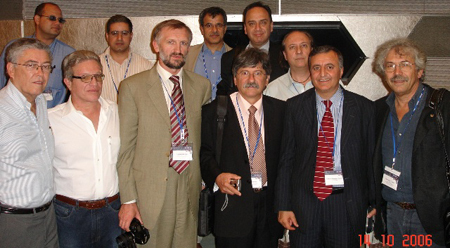 Second International Conference of the Society of Traumatology and Orthopedics, SICOT/SIROT Annual International Conference , Cairo Egypt, September 10- 13 2003. 14th European SICOT Trainees Meeting 5-7 May 2005 – Budapest, Hungary. 15th European SICOT Trainees Meeting Prague, September 14- 16, 2006, Prague, Czech Republic. 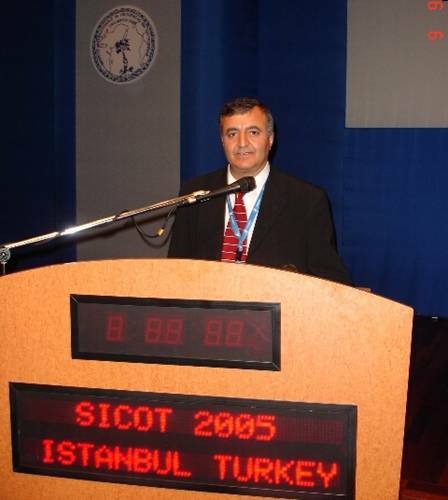 Fifth SICOT / SIROT Annual INTERNATIONAL Conference, 29 August – 1 September 2007. MARRAKECH, MOROCCO. 1-A New Hinge System in the Treatment of Limb Lengthening and Axial Correction. Ghassan salameh, Damascus Syria. 2-Treatment of knee contractures and deformities with external fixation. 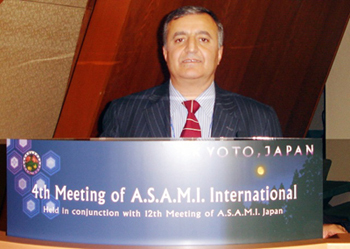 Ghasan Salameh, M. Schmidt. Damascus, Syria and Frankfurt , Germany. 4-Treatment of upper limb deformity with external fixation Ghassan Salameh; Damascus Syria .